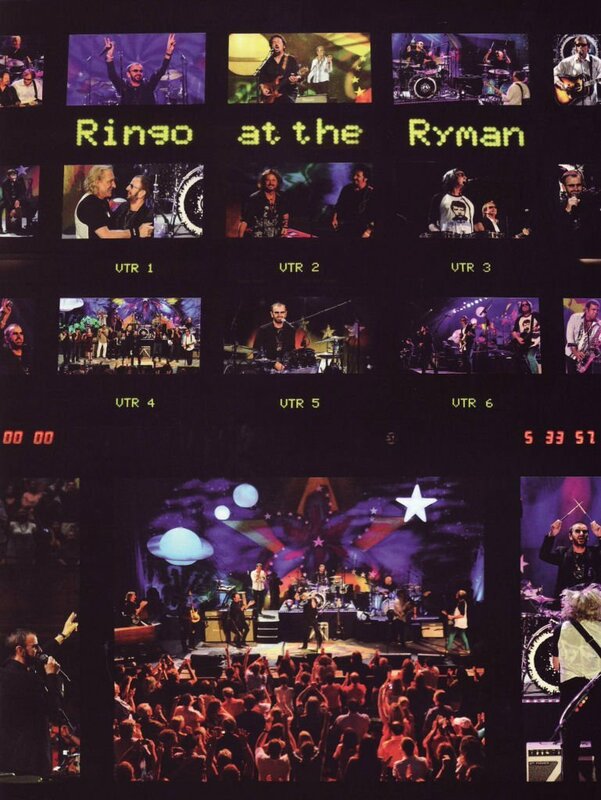 JP's Music Blog: DVD Review: Ringo Starr Shows Off His All-Stars "At The Ryman"
DVD Review: Ringo Starr Shows Off His All-Stars "At The Ryman"
If you've never seen Ringo Starr and his All-Star Band, then this new DVD entitled "Ringo at the Ryman" is the perfect idea as to what a Ringo Starr concert is like. It is an experience unlike any other live show you may have seen. Ringo Starr has a knack of taking musicians who have fallen below the radar of modern music and brings out their best live performance. The DVD was released last month through Universal Music Enterprise and features the July 7th show from his 2012 tour. The great thing about Ringo Starr and his All-Star band is each year the line-up changes with special guest performers. This particular tour features Todd Rundgren, Greg Rolie (Santana, Journey), Steve Lukather (Toto), Richard Page (Mr. Mister) and special guest Joe Walsh. This filmed performance is also very special because it is Ringo's 72nd birthday. Age does not seem to matter, or effect Ringo as he performs many of his classic solo and Beatles' hits like "It Don't Come Easy," "Don't Pass Me By" and of course "Yellow Submarine." When he's not in the spotlight singing, he performs on the drums, along side fellow drummer Greg Bissonette (David Lee Roth). The video climaxes with a sing-along of "With A Little Help From My Friends," featuring some of Nashville's own musicians like Vince Gill, Gary Burr and Brad Paisley. The video quality is outstanding for a DVD as all the special moments are captured, (including a sing-along of "Happy Birthday") without the need to jump around to every performer. With a running time of just over 2 hours, the only complaint is the lack of bonus features. Maybe a bio of each of the performers or some backstage footage would have been an added plus, but the great music and top-notch performances caught on video are reason enough to seek out this DVD. 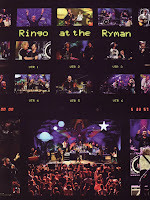 For more information on "Ringo at the Ryman," please visit ringostarr.com.